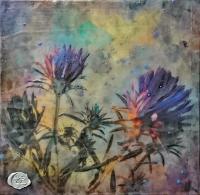 I am an encaustic mixed media artist whose work is motivated by my relationship with nature. 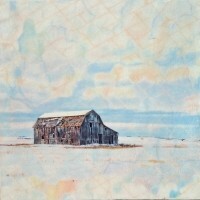 Encaustics is an ancient beeswax based paint which is applied and heated to create rich layers of unique depth and luminosity. 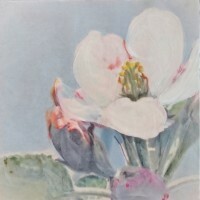 My process is studio intensive but starts outdoors with experience, photography and drawing providing the visual and emotive references that come back into the studio to be created. 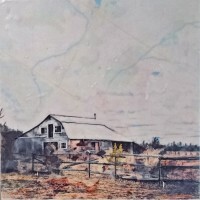 Encaustic painting is a deeply satisfying, solitary process. The organic nature of the beeswax based paint becomes a multilayered surface for both the visual and tactile senses. Substrates are recycled, repurposed found materials which create earth-friendly, karma-friendly, soul-friendly pieces of artwork. “It’s not art until it becomes personal.” That personal quality of life and art are what I am striving for. I want my life to reflect the best of me and I want my art to be expressions of who I am.